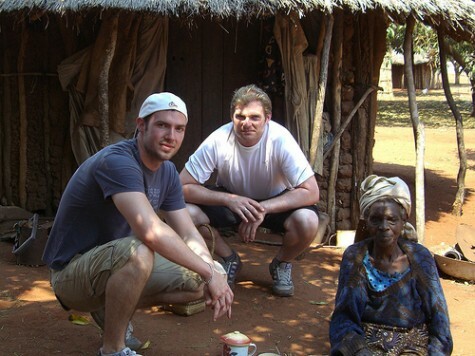 Brothers Mike and Dave Kaye went to Mukuni Village to help with The Butterfly Tree, after raising funds with the help of Facebook, Facebook featured their story when they reached 500,000 million users to help raise awareness of our work. Their aim was to build one community house for a widow with orphans. However they raised sufficient funds to build four houses. They assisted the local builders by fetching wood and grasses from neighbouring villages and provided unskilled labour. 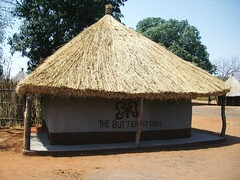 David, who is a Trustee of the charity, had previously been to Zambia and was instrumental in the founding of The Butterfly Tree. 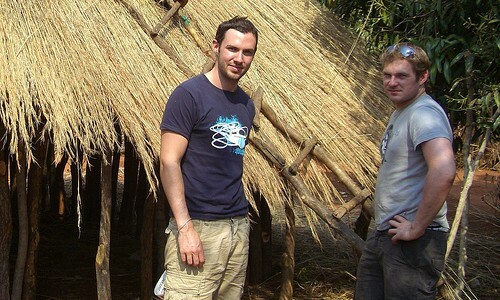 Mike, who is a volunteer for the charity, has since returned to Mukuni Village to work on other projects. He has cycled from London to Nottingham, participated in the 2011 Cyclothon UK and will be a member of the 2012 team to raise further funds. 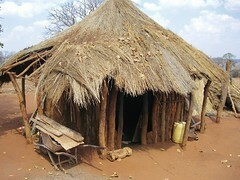 Many vulnerable people in Zambia rural villages live in appalling conditions, with little money to improve their situation. Often a woman will be left with several children and no income. These substantial houses built by The Butterfly Tree are robust, spacious and have a concrete floor and cost only £400 to build.